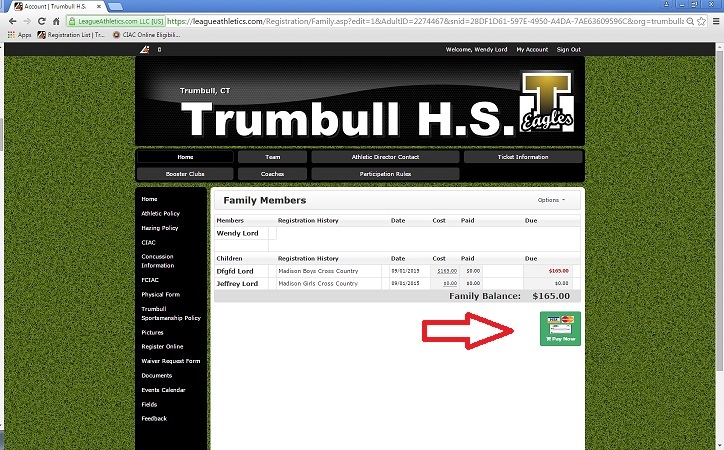 Registration/Payment Procedures | Trumbull H.S. Click on the orange ‘Register Now’ button on the right hand side of the page. Scroll down and find the sport your child will be trying out for and click the green ‘Begin Registration’ button. Click the blue ‘Continue’ button. You will receive an email with a link to create a password. Once you create a password go back to trumbullathletics.com, enter your password, then click the blue ‘Continue’ button. 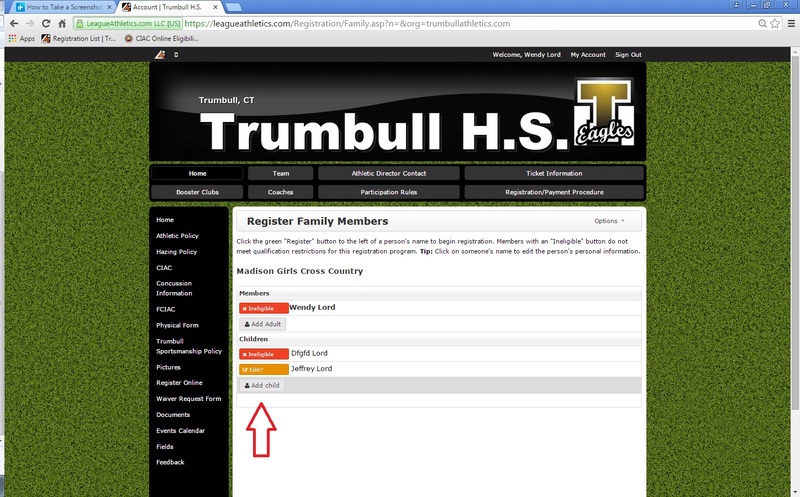 You will then enter the parent/guardian information and click submit. Enter your child’s information and click submit. Then enter the Supplemental Information, read and accept the agreements and click submit. Save your email and password information to access the site after for schedules, information from the coaches/athletic department information, etc. Enter your email and password that you previously created and click continue. You will then see your name and your child’s name. Click on the green ‘Register’ button. If you are registering a different child then click the red ‘Add Child’ button. Enter your email and password in the upper right hand corner. Go to 'Home' and click on the orange 'Register Now' button. Scroll down and find the sport your child will be trying out for and click the green ‘Register’ button. Then click the blue 'Continue' button. Enter you email and password in the upper right hand corner. Click the green 'Pay Now' button.